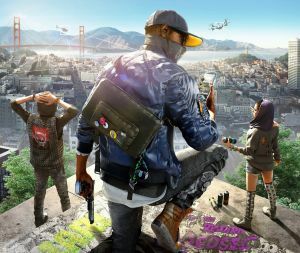 Watch Dogs 2 is set in the fictional version of modern San Francisco Bay area where almost everything is connected via the intelligent city-wide operating system called ctOS. This gives the government and anyone involved access to every citizen’s details from the basic personal identifiable information down to their deepest intricate activities under the grid. To combat this intrusion, DedSec, a covert team of hackers and “online activists” has taken up their cause to take down ctOS. Players play as the talented hacker and online vigilante, Marcus Holloway as he joins DedSec and utilizes every possible means to mess up with the system and fight the battle that no one knows about. Welcome to Supercheat’s unofficial guide for Ubisoft’s sequel to the 2014 open-world title which brought players to a world where almost everything is connected and can be manipulated with a touch of a button. This is an ongoing project with lots of content and videos to be added so please stay tuned! Please use the menu on the right to navigate. Shanghaied: They’re on a Boat! No discussions open for Watch Dogs 2 at the moment.